Nautiforte White 2000 ml. 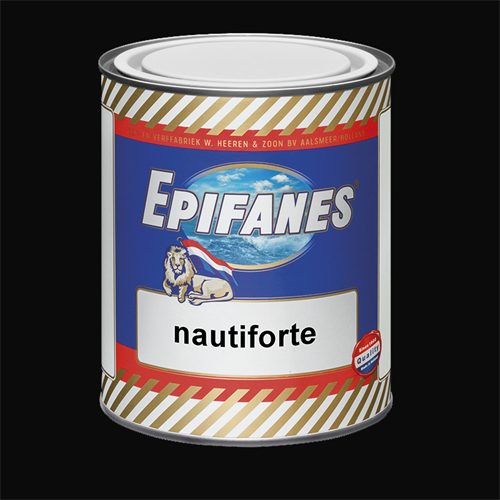 - Epifanes NA Inc.
A high gloss onecomponent finish, based on siliconized alkyd resins. This finish provides outstanding weather durability, long lasting gloss retention, rapid wet film drying, minimal dirt retention and is nonyellowing. Fiberglass - steel - wood - aluminum: suitable for interior and exterior use above the waterline in conjunction with the appropriate primer or directly on well degreased and sanded fiberglass. Maintenance of existing one and two component systems regardless of brand.